Charity auction steakhouse dinner package for 2 and book. If you know of any upcoming charity events we have a steakhouse dinner and book raffle package to donate for their auction so please let us know! Hi, like many of our clients we are charitably inclined… I believe it’s important to give back to those less fortunate than ourselves. So we have created an auction dinner package to donate to any upcoming charity events that you may know of for them to help raise money for their charity. 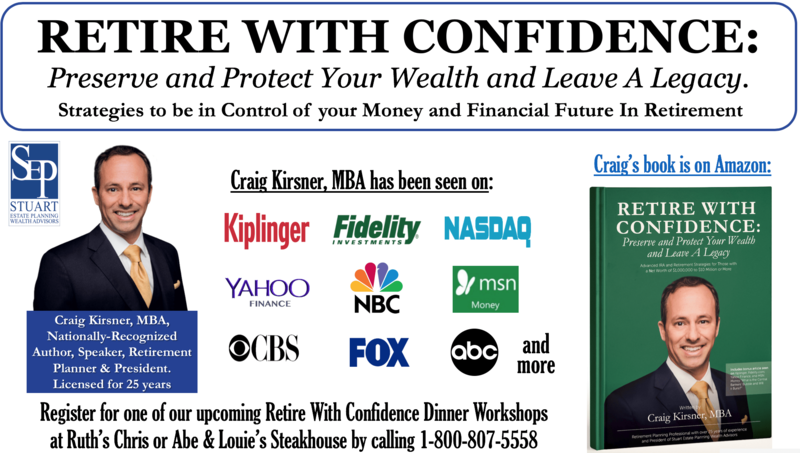 It includes a copy of my new book Retire With Confidence: Preserve and Protect Your Wealth and Leave A Legacy and dinner for 2 at Ruth’s Chris or Abe & Louie’s steakhouse to attend an upcoming dinner workshop. Below is the 11″ x 17″ poster that will be given to the charity in a nice acrylic holder along with a copy of my book. So please contact us if you know of a charity event coming up at 1-800-807-5558. Thank you!